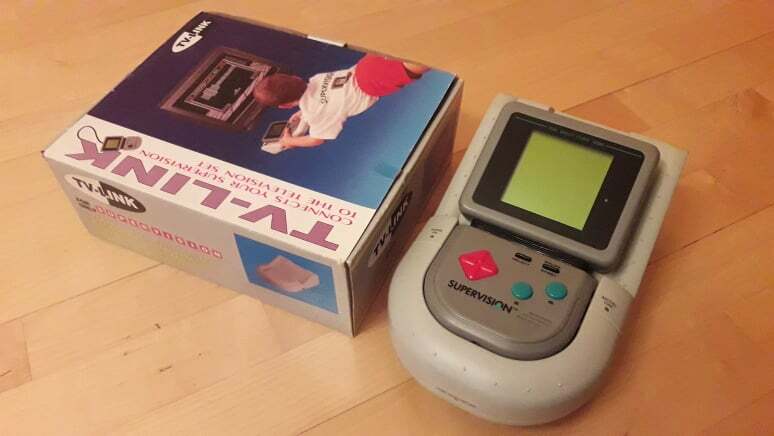 Slightly before Nintendo unleashed its Super Game Boy, the giant brains behind the Watara Supervision had plans of their own for a handheld to TV style adapter. As with their handheld plans, things didn't go so well and the peripheral has since drifted in obscurity...until now. The Watara Supervision really is a divisive beast. With its unique bendy form factor, impressively large screen and even a pair of retractable legs to prop it up, it makes for a curious and interesting part of both obsolete gaming history and a cute conversation piece on the discerning collector’s display shelf. I really want to love it a lot more than I actually do. Unfortunately, switching one on quickly reveals why this failed contender to the Game Boy’s throne has become something more akin to a court jester in the kingdom of ancient handhelds. Tinny, screeching sound, rivalled perhaps only by Tiger’s Game.com, combined with often blurry, heavily ghosting visuals and the extremely low quality of the majority of it’s 66 individual titles meant that whatever futile chances it may have had against Nintendo’s behemoth these were quickly diminished upon close inspection. The games' box art, typically resembling the primitive drawings of your average six-year old, probably didn’t do much more to lure in potentially curious gamers to its already uninteresting catalogue. Above: After years of hunting we were finally able to source this unit from an Italian seller at a reasonable price, despite being 'new old stock' it doesn't quite function perfectly. Time degrades all, including forgotten old peripherals for obscure handhelds. The question, then, becomes something of a ‘what if?’ What if there were a way to get rid of the ghosting, increase the resolution and size of the screen and even add colour to the mix? Would this somehow make the Supervision into a contender. Well, obviously not…but fortunately we can now reveal how one such experiment turned out, as we’ve finally been able to get hold of the Supervision’s legendary TV-Link for less than the price of a second home! Follow the links below as we explore every aspect of this unique and incredibly rare peripheral from gaming's past.